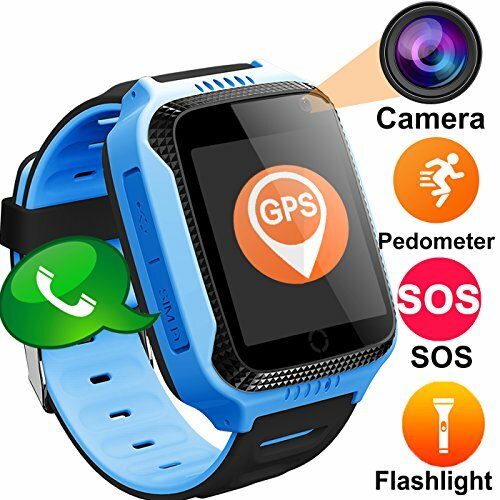 Kids Smartwatch,Smart Watches for Boys Girls with GPS Tracker SOS Anti-lost Alarm Pedometer SIM Card Slot Camera Electronic Learning Toys Birthday Gifts Travel Camping | The Best Spy Tech Store Online! 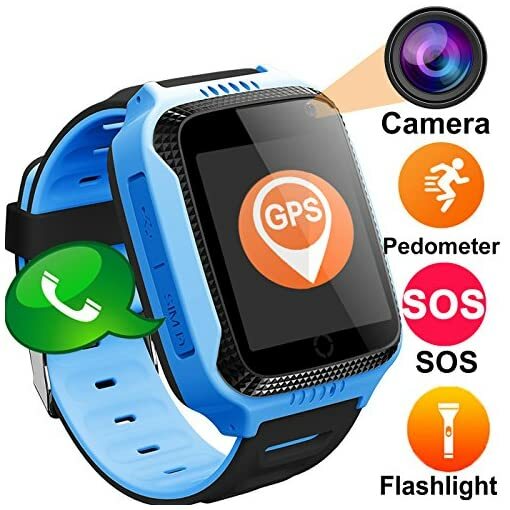 ★GPS+LBS Location: True GPS, with Double position technology based on GPS, Location Base on Cell Tower Station means double safety for kids.GPS will provide more accurately location than LBS when kids are outdoor,the error will be less than 100feet (30meters). achieving all day real-time location tracking,Kids can one click SOS to get call if they in danger. Parents can control and settings via “Setracker” app from App Store or Google Play. ★Remote Voice Monitor : Set the voice monitor number in App, dail the number, the watch will automatically answer without remind. So the parents can hear the children secretly. A: 1. Insert a correct mirco-sim card. 2. download the application “SeTracker” or “SetTracker2”. 3. Register with the registration ID on the back cover of the watch. 4. Log in and get all the features. How to solve “device offline” problem? A: 1.Check whether there are signal bars and “E” simbol on the watch. 3.If there is no “E” simbol, please open the data and voice plan for the sim card. 4.If there are signal bars and “E” simbol, please get APN, MCC, MNC information from your carrier, and contact us, we will set right network for you, then it will work correctly. ★Silent Mode in the Class:Parents can set the forbidden time while class time during the week day.The watch features are not available except SOS function when the kids is in class time to ensure the normal order of the school. ★Notes:The watch Worked as unlocked GSM Phone, supported Micro SIM Card, We provide Smartwatch only but without SIM Card, please buy extra GSM network SIM Card,We’d like to recommend to use O2 UK (pre-pay),T-Mobile UK,Hutchison 3G,MANX PRONTO,Giffgaff.